(Kim Raff | Tribune file photo) A super single oil rig that is drilling for oil in Newfield Exploration Company's oil fields in Monument Butte near Roosevelt, Utah, on August 9, 2012. 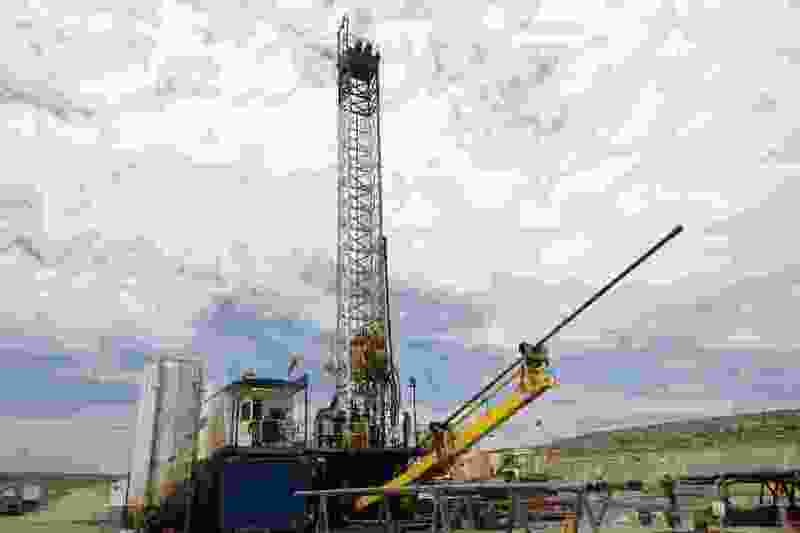 Washington • A federal judge’s ruling to halt new oil and gas leases and review hundreds of others in Wyoming doesn’t directly affect Utah but could lead to new legal challenges to leases in the state. U.S. District Judge Rudolph Contreras ruled Wednesday that the Bureau of Land Management should consider how emissions from oil and gas leases affect climate change. His order impacts almost 500 square miles in Wyoming but didn’t address concerns brought by plaintiffs about leases in Utah and Colorado. The ruling prevents the BLM from issuing any new permits until the agency conducts a new environmental review to see how greenhouse gas emissions from leases affect the environment. While the leases in Utah weren’t covered by the ruling, the Southern Utah Wilderness Alliance (SUWA) says that Contreras’ judgment opens an avenue to challenge leases issued in Utah. The plaintiffs in the case, WildEarth Guardians and Physicians for Social Responsibility, have amended their complaint to include Utah leases since 2017. They comprise about 532 parcels covering more than 777,000 acres in the state. “This ruling highlights a significant and, we believe, fatal flaw in every oil and gas lease sale held by BLM in Utah throughout the [President Donald] Trump administration,” said Stephen Bloch, SUWA’s legal director. A large-scale oil and gas lease auction is set for next week in Utah. Contreras, a federal judge in Washington, D.C., kept the lawsuit in his court and said he wanted to see the BLM do a thorough review and not just file papers saying it has. The plaintiffs said the ruling would have implications beyond Wyoming. The oil and gas industry pushed back, arguing that the BLM already analyzes climate change impacts. “The judge is asking BLM to take a wild guess at how many wells would be developed on these leases,” said Kathleen Sgamma, president of the Western Energy Alliance. Wyoming Gov. Mark Gordon, a Republican, suggested the state might appeal the ruling.